People express surprise when I share that [Luke’s recounting of Zacchaeus] is one of my favorite stories about disability justice; often I get quizzical looks and curious questions. I have had different types of disabilities my entire life, and I find that not only do I relate well to Zacchaeus and other “unclean” figures in the Bible, but I also find that my relationship with Jesus and my call on my faith path follows the patterns in these stories. 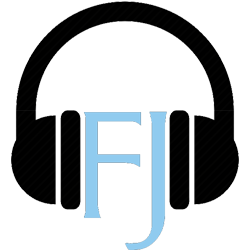 Subscribe to FJ’s podcast series. You can listen online from our website or subscribe to our podcast on iTunes or other podcast players.